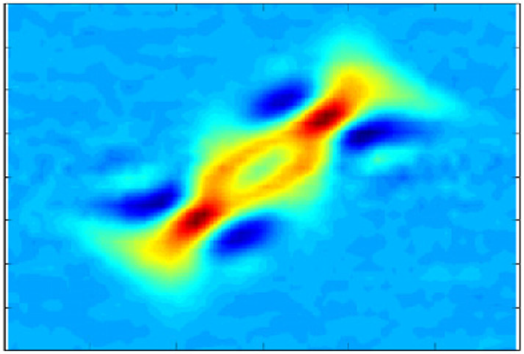 Fermi (exchange-correlation) hole in the reduced phase space, a typical signature of the Pauli exclusion principle. Solotronics in the Wigner formulation of quantum mechanics, a wave-packet moving in a region of single dopants. GNU nano-archimedes has been created after observing the situation in the field of quantum simulations around the world. One easily observes that almost all codes developed for quantum simulations are non-free and/or proprietary codes. That is a very bad situation, especially for academic purposes, since it forces people to reinvent the wheel everytime a piece of code is needed. This surely slows down the progress of Science (immagine you had to rediscover the Newtonian laws every time you need them...). In the current situation, we have a huge amount of papers describing a lot of numerical methods for advanced simulations of quantum systems, but it is still very complicated to access any of these codes, on which one could build new and even more advanced methods. Would not it be better if we could avoid duplication of efforts in Science and Technology? 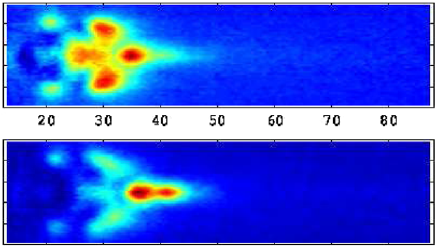 Journal of Computational Physics, Volume 297, Pages 254–265, DOI: 10.1016/j.jcp.2015.05.036, (2015). De Gruyter, DOI: 10.1515/mcma-2013-0018, (2014). Journal of Computational Physics 270, pp. 265-277, (2014). Journal of Computational Physics 273, pp. 589-597 (2014). Do you want to support GNU Nano-Archimedes? Please remember that the development of nano-archimedes is a volunteer effort, and you can also contribute to its development. For information about contributing to the nano-archimedes Project and/or request of enhancements and new features, please contact me at jeanmichel [dot] sellier [at] gmail [dot] com. GNU Nano-archimedes is free software; you can redistribute it and/or modify it under the terms of the GNU General Public License as published by the Free Software Foundation; either version 3 of the License, or (at your option) any later version.